This “stained-glass” mason jar project inspired by a project from iheartartsncrafts.com is a great activity to bring Grandma, Mom, and daughter together to celebrate Mother’s Day together. 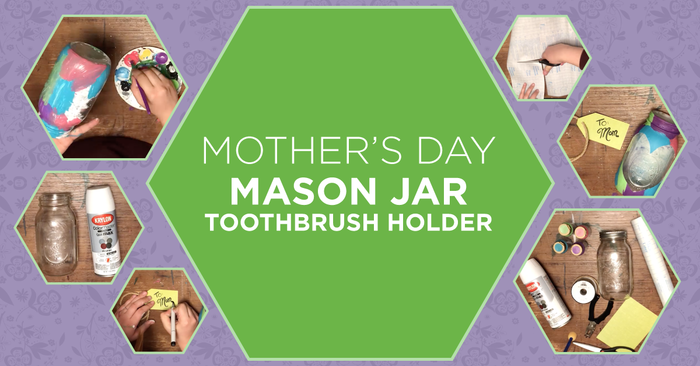 Plus, this beautiful jar can double as a new toothbrush holder! Keep it next to the sink to add a smile to your face before every brush. Share your creations with us on your Facebook page and visit our Pinterest page for more crafty ideas!